Spring is, by all accounts, an accost of the senses. The air smells different - warm and pollinated - and glimpses of sun and skin and bloom tantalize. The mix of foreign and fresh cause a most pleasant sensory overload. It's even more exciting to be somewhere new as temperatures rise. So with Spring Break upon us and summer fast approaching, it's a good time to think about planning this year's family vacation. Whether it's that once-a-year tradition or the once-in-a-lifetime vacation your family seeks, there is nothing more splendidly invigorating than an African Journey. And what better way to shake off a restful winter? Catch the spring fever with a spring breakaway to South Africa or Kenya. What better world of discovery for a child than the African bush - the freedom, those amazing wild animals, the attention from camp staff who have that innate ability to win over children. In this newsletter we'll give you some tips from the professionals about traveling with your families and with children. Below you will be taken in by the stories that describe the indulgences of restless spirits, would-be explorers no longer locked in by inclement weather. And let's not forget the best part about a good spring vacation: even home feels different after. An entertaining children's program based out of the Discovery Room. Adventure tourism including mountain biking, walking and horse safaris for the more adventurous. The photographic experience including the underground hides. 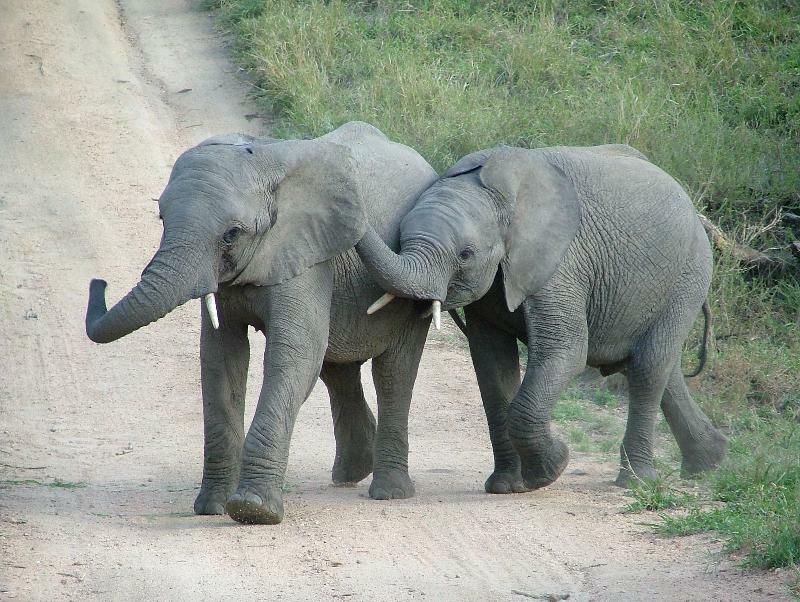 Or just simply a vehicle safari where Mashatu's predators and vast elephant populations are a big attraction. Multi-generational Family Groups love Mashatu because of the diversity of experiences complimented by excellent value in Botswana. Check out the Giants of Botswana itinerary for a small taste of what a Mashatu safari has to offer! In 1972 Federico Cheli and an Indian contractor from Maralal called Mr. Bhola built the original Loisaba Lodge. Now the new Cheli & Peacock and Elewana are creating the new Loisaba Tented Camp with 24 beds in large suites, 2 family en-suite units, and 2 family friendly star bed units to make a true, full of fun, family destination. Guests are guided and hosted by a team of traditional Samburu and Laikipiak Maasai warriors. Kiboko, the more recently renovated Star Bed, comprises of 3 doubles and 1 twin or family platform. Each platform is en-suite and has solar electricity, hot running water and flush toilets. The platforms are sited to ensure complete privacy. Koija starbeds comprise of, 2 double rooms and 1 twin or family platform. Koija is a little bit more traditional with traditional bucket showers and lamps for lighting. At both locations, each double platform is designed for 1 or 2 people. The family platform accommodates 4 people (sharing bathroom facilities). See the Loisaba Star Bed Expedition for an awe-inspiring, family-friendly adventure! 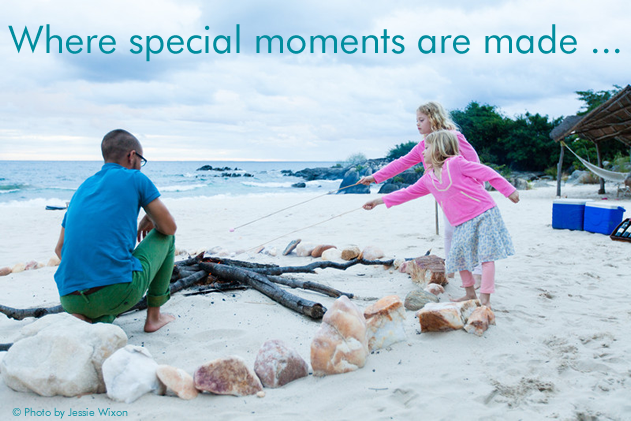 Nkwichi is the perfect place to bring out your child's inner sense of adventure; a natural playground where the sand squeaks, the pebbles sparkle and the clear blue water teems with brightly colored fish. Exploring the hidden rock pools and wild woodlands, you will learn with your child some of the secrets of African life in an untouched wilderness, an experience never to be forgotten. Kids under 12 pay 50%, under 3 are free. Be Prepared: The first thing for parents to remember is to not become obsessed by fear. "Preparation is important, but don't become so consumed with safety that the trip can't be enjoyed for what it is - Bringing along medical records is a good idea for parents. Keep it low-tech - a single index card with neat printing or typing and maybe a photo. List your child's name, date of birth, medical conditions, medications, allergies and vaccinations," said Dr. Jim McCormick, of Los Angeles-based Premiere Medical Travel Company. Most important when traveling, according to Dr. McCormick, is to trust your instincts. "Even if you 'jump the gun' and go to the hospital on the first sign of illness, the peace of mind knowing your child was examined and treated will be worth it," he said. "This decision can become harder as you travel more remotely. It may be safer to start heading toward civilization sooner if someone becomes ill."
So what should parents do if their child becomes ill and needs medications? Dr. McCormick says it's probably safest to stick to large-chain and hospital pharmacies, and only bring nausea and diarrhea medications. "For children, vomiting and diarrhea can cause dehydration more quickly," he said. "Focus on hydration with bottled water and Gatorade or Pedialyte." Parents may also need to speak with non-English-speaking doctors. The key, said Dr. McCormick, is to stay calm, speak in simple terms and don't use slang. Also, pediatrician Karen Rodriguez suggested using a good travel dictionary to bridge language barriers. To make absolutely sure you have access to medical help when needed, travel insurance is compulsory. You may still worry about your kids getting ill, but if they do get sick the insurance company will find competent medical care no matter where you are; help you communicate using their translators; assist you with getting necessary medications; and, as a last resort, evacuate your child to a hospital of your choosing. 1. That the camp had been set-up for us alone, had zero impact on the environment and it was removed when we left. 2. Guide was amazing and really engaging; kept asking us questions and keeping us busy. It was real learning and more engaging than other safaris we have done. 3. The walking was quite on edge and loads more exciting as we saw big game on foot - elephants, rhino, buffalo and lion. 4. Lying on a mat at night and learning about the stars. 5. Cool doing things with mum and she was better at some things than we were! 1. Doing things together - the camp provided the perfect place to connect. 2. It was all ours, a totally private safari experience with no distractions. 3. Having to move the dinner table as the elephants came through the camp during main course. 4. Seeing my first shooting star while sitting on the loo! 5. The authentic simplicity, this is what a safari is all about! 1. ACCESS! With daily flights between Johannesburg, Cape Town (except Saturdays) and Hoedspruit, it is easier than ever to arrive in the Timbavati. 2. Exceptional guides and trackers. 3. Exhilarating big game walking safaris. 4. Exclusive use in an expansive reserve. 5. Explorer-style camping for the adventurous. Looking for a South African family adventure? Check out Family Travels on the Wild Side! South Africa: Traveling with Children? Concerned about the growing issue of global child trafficking, South Africa immigration has special requirements for adults traveling with children under the age of 18, effective since Oct 1st, 2014. An unabridged copy of the child's birth certificate must be provided whether both or one parent are traveling with the child. Other requirements are in effect for children traveling solo, with grandparents, relative or friend. Please contact our office for additional information. The South African Department of Health has announced that yellow fever vaccinations are no longer required for travel between Zambia and South Africa. The Zambia Department of Home Affairs has also eliminated the requirement for visitors to the country having to present a yellow fever certificate unless travelling from a country with risk of yellow fever. The Kavango Zambezi Trans-frontier Conservation Area (KAZA) UNIVISA has recently been suspended due to misuse. The US$50, 30 day KAZA Univisa was a pilot project to ease travel back and forth between Zambia and Zimbabwe. There are currently no announcements as to whether the visa will be reinstated, but all regular visas and day-trip visas in Zambia are still available. 2. Include places that offer various activities: such as boating and walking, in addition to game drives (it might be more interesting for your child to have a dung throwing contest than rhino watching). 5. Consider exclusive use lodging or camps offering flexibility with meals and activities. Child friendly and/or private villas, guides, programs and vehicles are offered in many locations, especially since many lodges have strict safety policies. Living in the modern world, with many international airports, means that a great chunk of the world is reachable via direct flights - but not all, especially in Africa. Making connecting flights with kids can be a challenge. Here are some tips from Cindy Richards (travelingmom.com) to make it easier and reduce the chances of missing a flight. Book early morning flights: which are more likely to leave on time than the flights later in the day. Give yourself enough time: Between flights, leave yourself two hours on domestic flights and three hours on international flights to clear customs. Sit at the front of the plane: The closer to the exit door, the faster you'll reach your next gate. Choose to carry-on: Kids as young as 4 can pull their own small carry-on. Carry-on bags won't get lost by baggage handlers or fail to make the connecting flight. Know where you're going: Download or print out a map of the airport where you are connecting so you know where everything is - including the restaurants, restrooms and children's play area. Share your contact info: your airline can text or email you if something goes wrong. The earlier you are aware of delays or aircraft changes, the faster you can rebook your flights without additional disruptions. Tweet your way to success: If you have a problem, tweet the airline. You might get a response much quicker than by calling the customer service line. Use the facilities on board: If everyone uses the potty on the plane before landing, you can save one crucial stop between connections. Ask for help: Rather than panicking about missing a tight connection, ask the flight attendant for help. They might be able to notify the staff and arrange for an airport cart to pick you up and take you to your planned departure gate.